Italian savory pies have been around since ancient times, even Pre-Christian, and are linked to the farmers’ traditions. They are made with simple and fresh ingredients available during the growing season. If tomato is Italy’s summer vegetable, cabbage is definitely the winter vegetable. Kale pie is a true veggie lover’s delight. 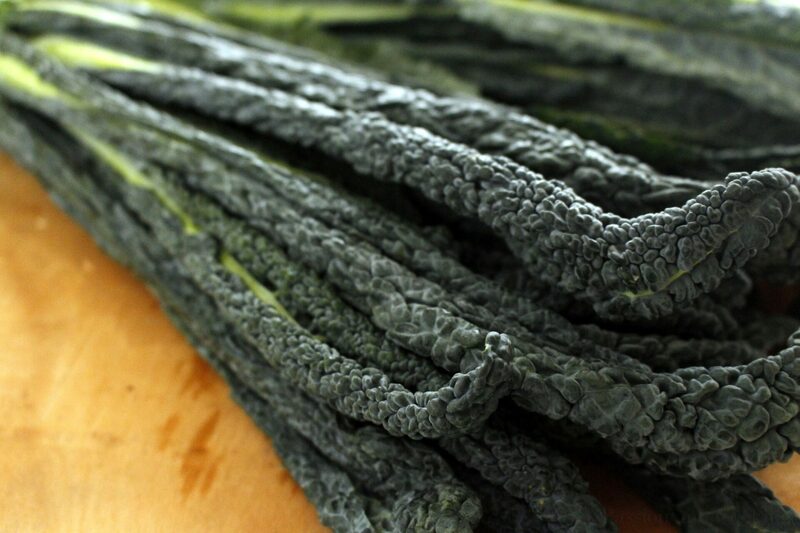 Tuscan kale, also called black leaf kale, dinosaur kale, Lacinato kale, or cavolo nero, appears in the markets in November and continues through spring. It is one of the oldest vegetables in the cabbage family. It is a leafy cabbage that resembles palm fronds with deep greenish black leaves and pronounced ribs. It has an intense cabbage-y flavor, but is generally sweeter than other varieties. It is the basic of ingredient of many other tasty dishes such as soups (i.e Tuscan Ribollita), stews and omelets, and it is delicious on crostini di pane, too. You can enjoy it also raw in salads. Kale is highly nutritional vegetable, rich in vitamin A and vitamin C, folic acid (if consumed raw) and potassium. 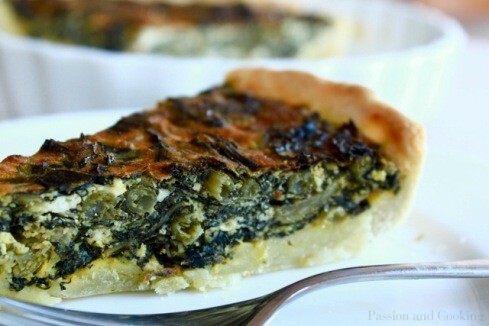 Kale pie can be served either as an antipasto (starter) or a main course. Once the dough has rested, flatten it out on a lightly floured board, then transfer to a on a 25 cm (10 in) ceramic or glass pie or tart baking dish. Gently pat the pastry dough in the pan to 4 mm (less than ¼ in) thickness, to line the bottom and sides. The edge should have a slightly thicker layer of pastry than the bottom, about 5 mm. Prick the pastry bottom with the tines of a fork (four or five times is sufficient), then spread with the vegetable mix and bake until golden, about 40-45 minutes. Cool for 5-8 minutes on a cooling rack. It is delicious when eaten freshly baked and a little bit warm. Paola, that sounds great, and perfect for the season. Kale is so versatile. And I like your idea of using goat ricotta. I have never tasted it – Is it commonly found in Italy? It is difficult enough here in the U.S. to find sheep’s milk ricotta. I do not think I have ever seen goat ricotta. And as always I fing all your background info quite enlightening.